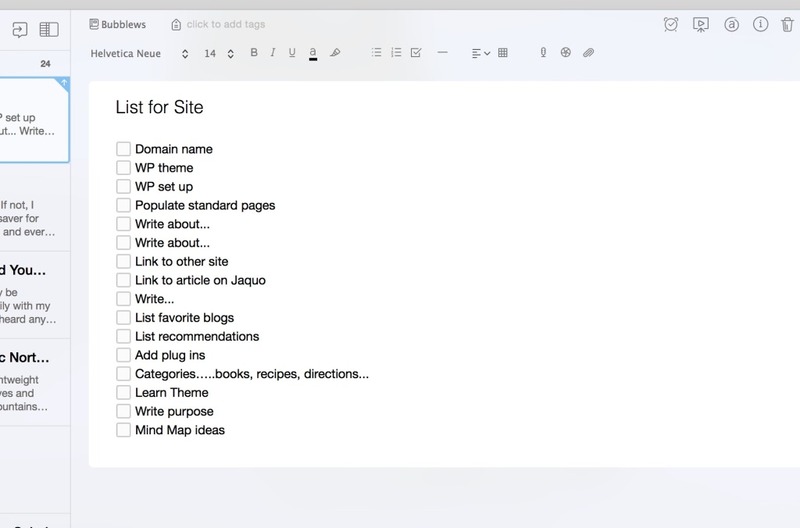 Are you using Evernote yet? If not, I suggest you give it a try. It’s a time saver for me. I first started using it years ago, and every year since then I’ve found more and more uses for it. Evernote is a free app for your cell phone, your tablet and your computer. Since it syncs them easily, the app enables you to use it wherever you are working. It enables you to carry around everything you need, everything important to you, everything you might need to access in your cell phone or your tablet. My use started out simple. I ran across it when I was first starting to write, so that was my primary purpose. I made a notebook with the title I’d given the book I was starting and I was off. Anything related to it got put in that file. Another notebook was created called “Book Ideas.” Even if it was only one sentence of an idea, I could easily write it and save it in Evernote. I can’t tell you how helpful it’s been over the years. Often when I go places there is a wait time for an appointment. It is easy to write a few paragraphs or ideas on my phone while I wait. While sitting with my aging parents as they napped, I probably wrote a good three chapters of a book. It was easier to sit their with them knowing I could still be productive, yet I was there when they needed me. You can see how it can grow. Interested in gardening? Set up a notebook for that. Design? Crafts? Travel? That is the fun and wonder of Evernote. It will hold it all. It is so convenient to have it all in one place so you know where to look. If you are out shopping and want to compare it to something you saved? Just bring up the page in Evernote. Grocery shopping? Check the recipe to be sure you have the ingredients you need. My main focus is still writing. But now I have a notebook for each of my websites. I have a notebook for each writing site where I publish articles. Since some contain a large number of articles, I’ve added a completed notebook for each. So if I write an article for Jaquo, it will be in the first file until I hit publish. When it is published, I will copy the completed version from the magazine site, and paste it onto a new page that is put in “Jaquo Completed.” Just like that I have a back up of what I’ve written, complete with photos and any links. Another feature that is very handy when writing: Click on Note Info, and it will show you the word and character count of what you have written. If there are minimums or maximums where you are submitting articles, this is essential. One of my favorite things on Evernote is their checkbox. I love it! When I start something new, whether a website or a book, I will list out things to do for it and ideas for it. I put a check box beside it, so that I can mark what has been done. It helps keep me focused, as well as letting me see progress I’ve made. This year I plan on setting up a notebook entitled “Goals.” Not only will I list mine out on a master page, but I will also have pages showing steps to each goal if needed. It so helps to break each goal down into doable steps. I can clip pages I see online of that Tiny House or mountain cabin I would love to have, or the new garden I want to plant. Anything goal related will be right there to remind me. Have you thought of your own list of notebooks you would like? Evernote makes it so easy. 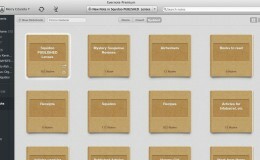 You don’t need a book to use Evernote. It’s easy to learn and you will pick up tips as you go along. But if you are like me, it is interesting and fun to see what information a book has to add. The three shown here are popular choices. If you want to learn about importing folders, scanning to Evernote, life organization, you will enjoy one of these. Of course the Dummies edition will be amusing and tip filled as well. Just don’t let the need for a book keep you from getting started. You can be on your way in time for the coming new year with a simple download. I started using it a few months ago or so for saving all my writing articles. I have notebook for each site I write on. Its very handy and I love it. Even though it is free I have a paid subscription. Its so nice to be access it not only on my laptop but my mobile devices too. Great article Merry! Isn’t it fun Cheryl? I can picture a cupcake notebook, a cake notebook….Handy for crafters too. Glad you are liking it! Merry, have not heard of this app but then I haven’t heard of alot of them. this looks like a great resource and will be looking into it very soon to help with my organization. Thanks for sharing. Thanks Teri, I bet you would like it for crafts too. A notebook for each type or company. If I can help in any way, just let me know when you are ready to try it.